CasesBlog - Medical and Health Blog: The beautiful flower of Internet conversation: how many petals do you have? 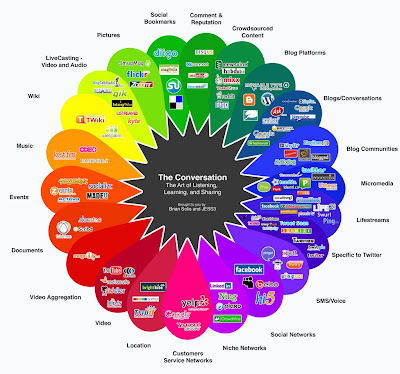 The beautiful flower of Internet conversation: how many petals do you have? 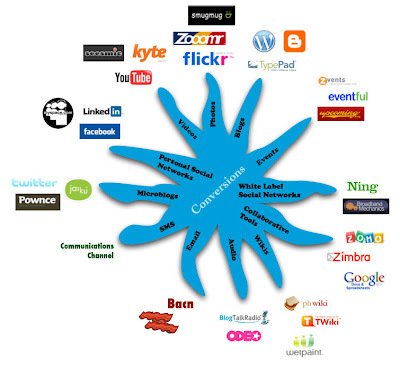 Social Media Starfish created by Darren Barefoot (a Creative Commons license). In the last 2-3 months, I have found Twitter and Facebook quite useful. For example, we used Facebook to create a group for health professionals attending the Annual Perioperative Summit and another one for fellows and faculty (both former and current) at the Creighton University Division of Allergy and Immunology. You can read more about Twitter in A Doctor's Opinion: Why I Started Microblogging on Twitter and check the weekly Selection of My Twitter Favorites. How many social services do you use? List them in the comments below. Social Media Communication. The 28-Hour-Day diet.